In football, substitutions are made for various reasons at the manager's discretion. It could be to change the shape of the match, take a few seconds off the clock or in the event of an injury to an on-field player. In the course of history, we have seen coaches pull off effective substitutions, for instance, German boss Joachim Low who introduced Mario Gotze in the dying stages of the 2014 FIFA World Cup final. Gotze went on to score the winner as Germany became world champions. At times, coaches have made the bold decision of substituting goalkeepers in big match situations, which happened in Netherlands’ campaign in the last World Cup. After easy wins over top sides Spain and Chile in their opening three matches, it was expected that the Dutch would make light work of Costa Rica in the quarter-final. However, things proved difficult and Louis Van Gaal brought on goalkeeper Tim Krul as an injury-time substitute after 120 minutes of an evenly contested match. Krul subsequently made two saves in the shootout as the Oranje won 4-3 on post-match penalties. Unfortunately, he could not replicate his heroics in the semi-final against Argentina as the Dutch were already out of substitutions. Argentina progressed to the final after emerging 4-2 winners on penalties. Not all substitutions have proven to be fruitful. In fact, some teams have paid the ultimate price as a result of the manager’s decision to make the switch. 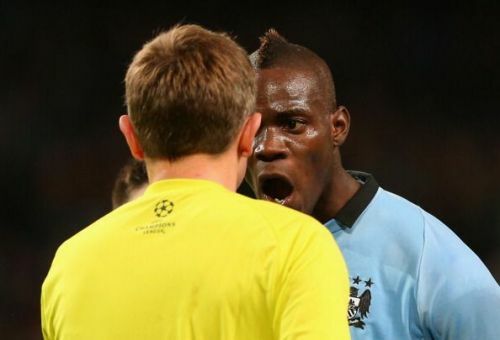 Mario Balotelli’s broad personality and no-nonsense approach has defined him for the better part of his career. This is the same player that on a good day, could turn a game on its head like the time when he strategically destroyed Germany in Italy’s 2-0 win in the 2012 European Championship semi-final. He is no stranger to being sent off as well. 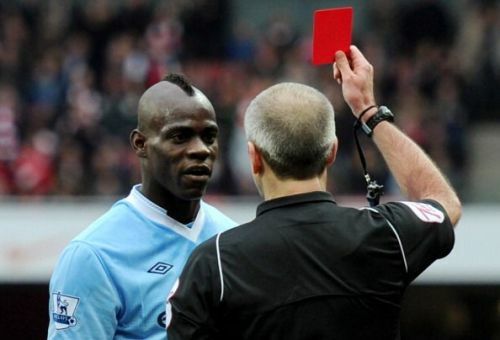 In Inter Milan’s 2009 Champions League clash against Rubin Kazan, Balotelli was sent off following a second bookable offence. Talk revolved around how his then manager Jose Mourinho extensively spoke with him at halftime about avoiding a sending off as he had no recognised striker on the bench to replace him. 15 minutes into the second half, Balotelli made a late lunge on Christian Noboa which earned him the red card. Acts such as these have been as synonymous with the Italian striker. On November 27, 2011, Manchester City played out to a 1-1 draw against Liverpool. City had opened the scoring through Vincent Kompany’s towering header in the 33rd minute. Liverpool was level through Joleon Lescott’s own goal two minutes later. Given that City had only won once at Anfield in the previous three decades, manager Roberto Mancini decided to bring on Balotelli in the pursuit of a winner. In the space of 18 minutes, Balotelli had pulled back Glen Johnson for his first booking before being sent off in the 83rd minute for elbowing Martin Skrtel. This incident left the visitors exposed and switched to ultra-defensive mode just to salvage a point.